The non-profit now has volunteer college students and medical students conducting science experiments with sick children in hospitals in five different states. 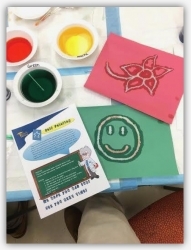 Ann Arbor, MI, February 19, 2018 --(PR.com)-- TEACH (Together Educating All Children in Hospitals), a nonprofit organization that creates an outlet for hospitalized children to passionately engage with the sciences through fun, interactive experiments, announced its expansion to a second hospital in the state of Michigan, the Children’s Hospital of Michigan, which is located in Detroit. Volunteers have already been conducting science experiments with ill children in C.S. Mott Children's Hospital in Ann Arbor. In addition to expanding to additional hospitals, TEACH is looking for more students who would like to get involved with the organization. If you are looking for a way to make a difference in a child’s life, please consider joining TEACH. If you would like to become a hospital leader, volunteer, bring TEACH to a hospital near you, or you are an organization that would like to collaborate with TEACH, contact the President at Isaac.Snyder@TEACH4Kids.org.